Nobunaga’s Ambition: Taishi with Power-Up Kit has launched in Japan, and we have the day one sales data on how things went. Check out the info below. 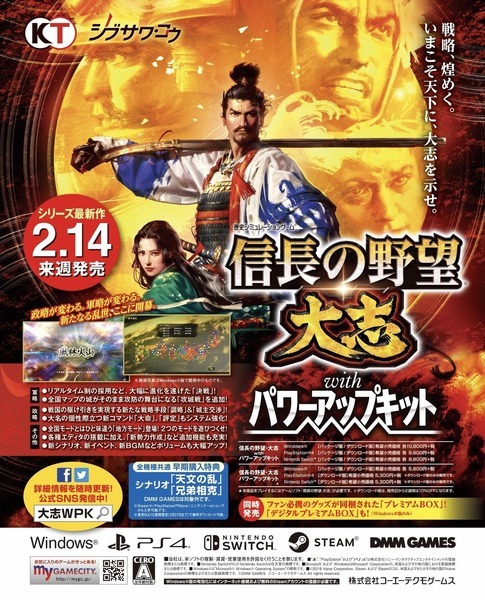 What better way to show your Valentine some love than with a copy of Nobunaga’s Ambition: Taishi with Power-Up Kit? Who doesn't love feudal warfare and strategy tactics on Valentine's Day? Just as the print ad above states, Nobunaga’s Ambition: Taishi with Power-Up Kit launches for Switch in Japan on Feb. 14th, 2019. 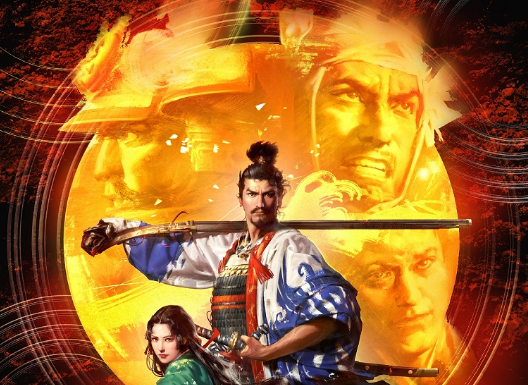 Nobunaga’s Ambition: Taishi with Power-Up Kit launches for Switch in Japan on Feb. 14th, 2019. No word on a localization at this time. 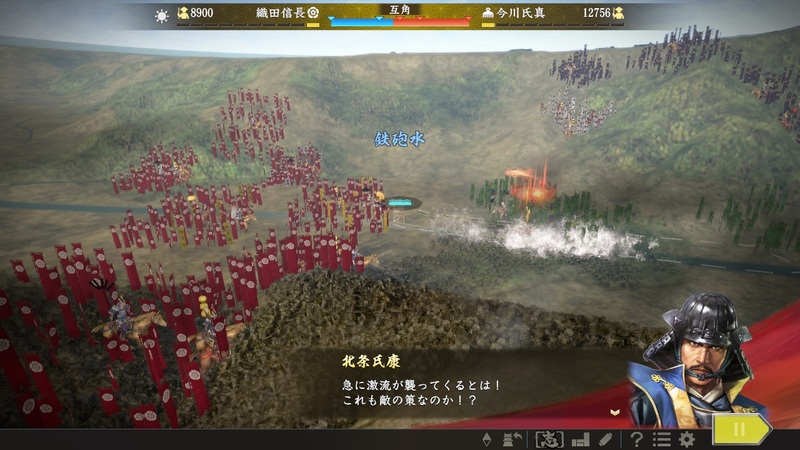 Another new feature of Nobunaga’s Ambition: Taishi with Power-Up Kit has been revealed. We now know the game will include a brand-new Regional Mode. Check out details on the mode below. 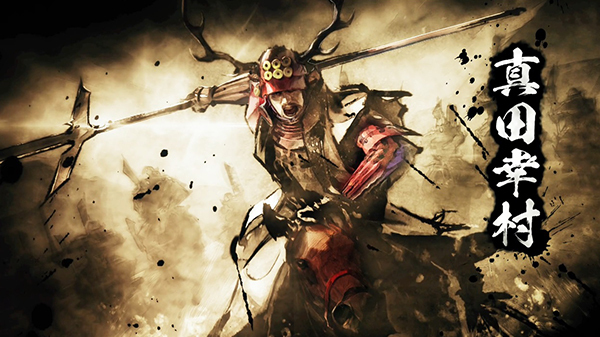 Koei Tecmo has announced a delay for Nobunaga’s Ambition: Taishi with Power-Up Kit in Japan. The original release date was set on November 29th, 2018, but now the game has been bumped back to February 14, 2019. The following statement on the delay was released. There's so many games of this type/genre in Japan that I can't keep track of them all! I honestly don't know what makes them different with each installment. I'm sure that would change if I could actually play them, but these titles don't have the best track record for localization. 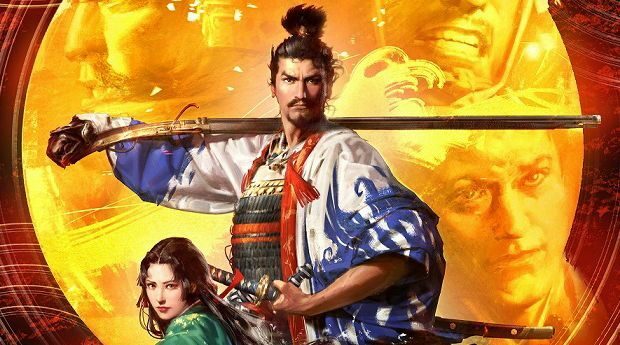 Koei Tecmo has confirmed that Nobunaga’s Ambition: Taishi with Power-Up Kit is set to hit Switch in Japan on Nov. 29th, 2018. No plans for localization have been revealed at this time. Nobunaga’s Ambition: Taishi with Power-Up Kit will be on display at TGS 2018. The title is set for release in Japan on Nov. 29th, 2018. 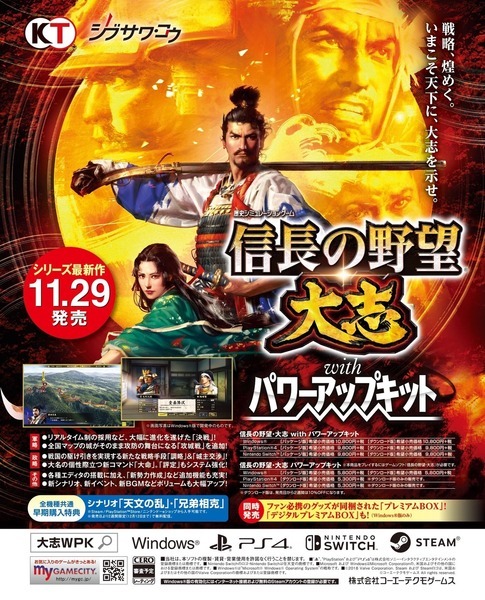 Nobunaga’s Ambition: Taishi with Power-Up Kit is set to launch in Japan on November 29th, 2018 for 10,584 yen. 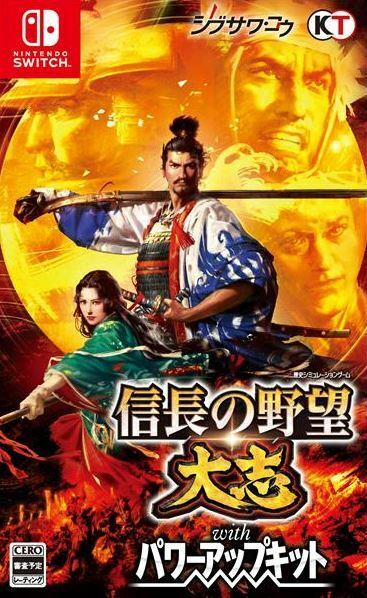 Koei Tecmo has also revealed a “Premium Box” edition for 14,904 yen, which includes a copy of the game, three-disc complete soundtrack CD, officers art book, historical event guide, and “Toyotomi’s Counterattack” scenario. 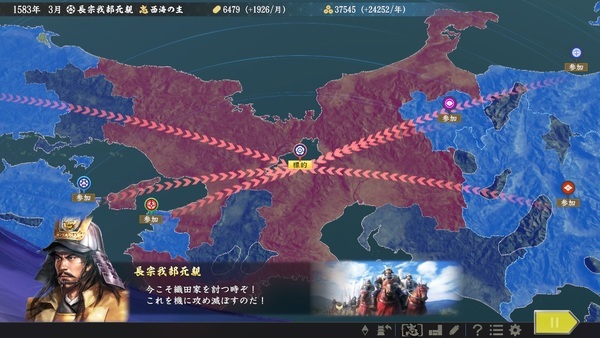 We've shared a few details on Nobunaga’s Ambition: Taishi with Power-Up Kit so far, but now we know that the game will be hitting Switch in Japan sometime this Winter. For those in Japan who own the original version of the game, an update will be made available to provide the same content found in Nobunaga’s Ambition: Taishi with Power-Up Kit.